Thanks to Natalie Lustig for her gracious acknowledgement of the presentation and discussion I led August 6th at the Downtown Business Branch of the Carnegie Library. 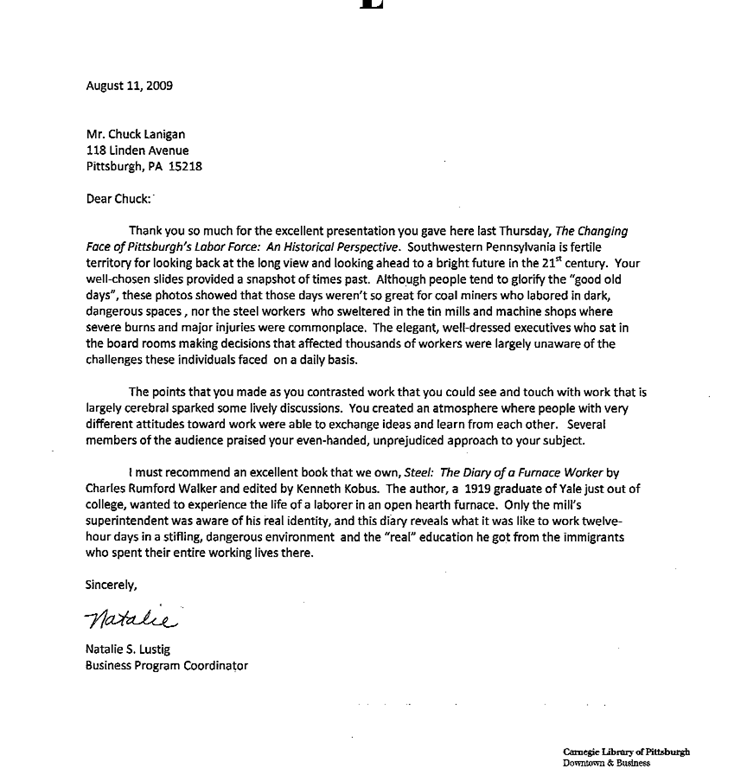 The title was The Changing Face of Pittsburgh’s Labor Force: An Historical Perspective. Please note that I will present material from To be of Use: Stories of Labor & Identity in SW PA a final time on August 30th part of the Carnegie Library’s Sunday Poetry and Reading Series.